This article addresses the fallout from the 1984 Bhopal gas disaster, as well as the consequences of India's rapid industrialization. The Bhopal Disaster: Political Ramifications …. A commentary by Andy Duncan on 12/3/98 for Dr. Christine Boese English course (H102-100). This text serves as an introduction to the basic ethical theories in the engineering practice. This document outlines the U.S. House Committee on Foreign Affairs's hearing regarding the Bhopal Gas disaster. This documentary contains footage from the 1984 Bhopal gas disaster and the B-25 Empire State Building crash in 1945, an incident that claimed the lives of fourteen people. On June 2, 1984, a pesticide plant owned by Union Carbide India Limited (UCIL) leaked large amounts of methyl isocyanate gas into the atmosphere. Considered by many to be the world's worst industrial accident, the Bhopal gas disaster resulted in the deaths of approximately 8,000 people. 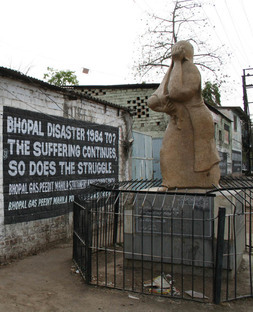 In 1984, an Indian city of Bhopal became the site of history's biggest man-made disaster, where 3,000 people choked to death on toxic gas within just several hours. In this book, Jamie Cassels analyzes the causes of the Bhopal gas disaster and examines the legal proceedings,litigation, and global implications that took place thereafter.